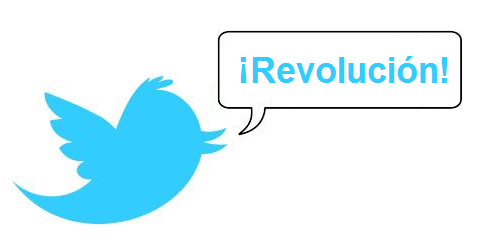 On April 4, the Associated Press released a story about the ICT project in Cuba, reporting that the pseudo-Twitter platform, ZunZuneo, was a covert program created with the intention to ‘stir unrest’. USAID maintains the platform was created to facilitate conversation between Cuban citizens, and approved by the Government Accountability Office. (USAID refutes eight facts from the original story here). More than 40,000 Cubans used ZunZuneo before funding ran dry and it disappeared, unaware that it was operated by U.S. Government contractor Mobile Accord. Will foreign countries assume that all aid workers are spies or trying to create political unrest? What are the ethical issues associated with “expanding” ICT? What is the line between providing access and inciting action? One discussant suggested this story has a complexity that requires evaluation of two separate phenomenons: the first being Cuba and ICT, and the second being the ideas and management behind ZunZuneo. Cuba has one of the lowest internet penetration rates in the Western hemisphere, only 5 percent of the population has access. Participants who had previously worked on projects in Cuba said citizens want to have more free speech, but the government constantly monitors their connectivity. Ever since the arrest of USAID employee Alan Gross in 2009, there has been a surge of remotely-based projects to support technology expansion into Cuba. In terms of the ZunZuneo project itself, most participants agreed the failure and ethical gray area boiled down to a series of bad decisions. Most people in the room however, talked about their firsthand experience when proposal planning turns from “we could create” to “we could get people to…” At the same time, ZunZuneo was started with a set of stolen phone numbers, a factor most attendees said was a conscious and questionable decision of the leadership. The original ZunZuneo users did not consent to give that information to the contractors. A larger problematic issue is that ZunZuneo users did not know the U.S. Government was running the program. ZunZuneo began in 2009, but the AP released the story in 2014. Standards and technology have evolved rapidly in the last five years, and it’s hard to view the project through a 2009 lens. After the Green Revolution in Iran, social media was on everyone’s radar as an organizing and communicating tool. There was less understanding about the use of social media platforms in development, and certainly less case studies to evaluate the ethics of using these technologies. In 2014 what is unacceptable may not yet have had basis at the project’s inception, one discussant pointed out. The U.S. Government Supports A Spectrum from Humanitarian/Aid Work to Security/Regime Change, So…..
One participant said that the government represents the spectrum of international work: from the humanitarian/aid side to a diplomatic sector, to the security or regime change sector. There are lines on paper that separate these missions, but these lines haven’t always necessarily applied in practice. There have historically been a number of incidents when lines became blurred between areas and organizations, including Peace Corps, CIA, etc. Discussants questioned whether there are universal human rights that transcend governance/sovereignty. If so, what is the role of aid, or what is the role across the spectrum of the government to intervene in foreign countries? Most salon participants agreed that foreign aid has a political nuance due to the nature of funding and operating in foreign countries. What many participants said made them uncomfortable about ZunZuneo was that it intended to cross the line from offering a platform for Cubans to speak to each other to inciting political action (USAID refutes this here). To many the line is between offering access and inciting action. One participant said the community needs to acknowledge that aid is political, and move beyond that to protect beneficiaries and their information. This salon discussion circled back to many of the same themes from other ICT4D topics: transparency, who receives the information collected during projects, and how much projects help communities versus being extractive for donors or other parties. One participant shared this applicable nugget about development in general: When designing technology, users are at the center, when designing a curriculum, learners are at the center. When designing ICT4D projects, who is at the center?